A little bit of butter left in the butter dish? 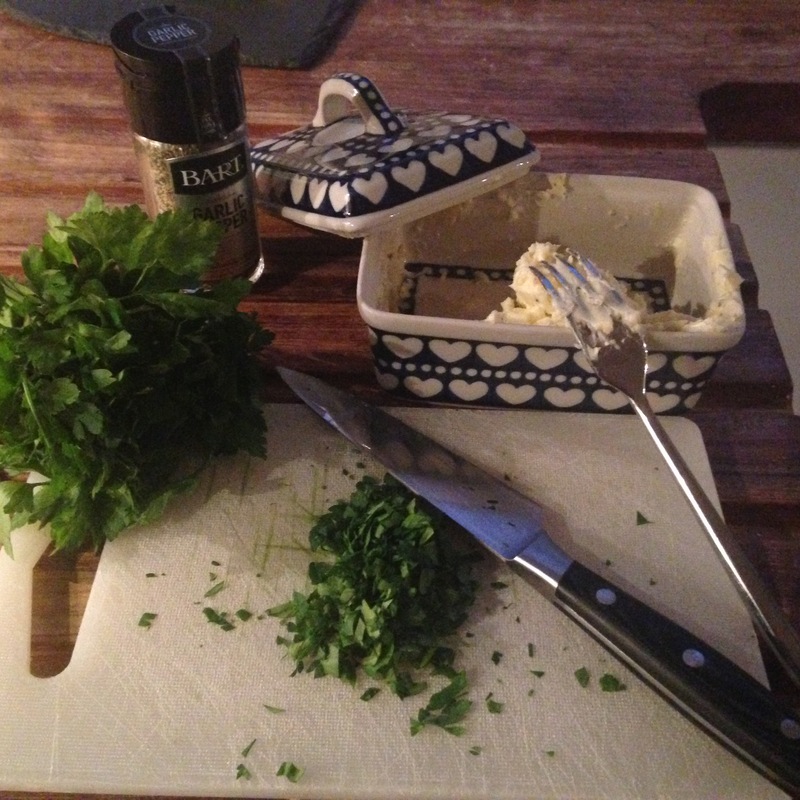 A great way to use up before washing the dish and putting the new butter pat in, is to mash with herbs and spices to create a quick and easy topping for fish, meat, vegetables and potatoes …. Mash the butter with a fork until you have a workable consistency, add a sprinkle of rock salt – the rough stuff gives you a delicious, salty crunch when melted on top of steaks. Add in a crushed garlic clove and chopped herbs – flat leaf parsley (a hugely underrated herb in my opinion) is a delicious combination with garlic and is perfect with steaks, chops and other red meats. 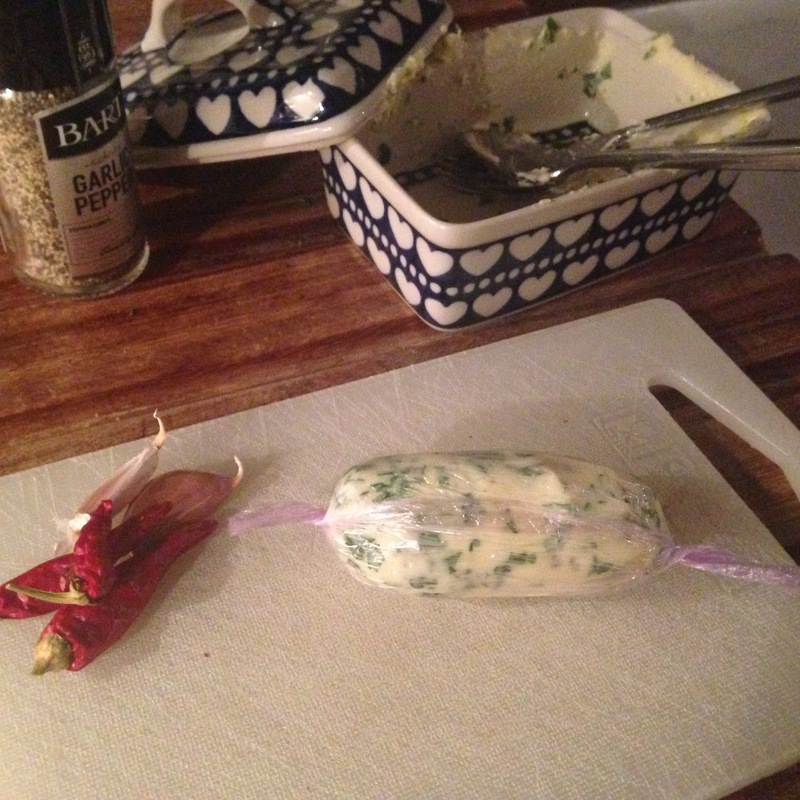 When everything is mashed together, roll in foil or cling film to create a butter ‘sausage’ and pop in the fridge or freezer. When your meat, fish or veggies are ready, slice off a couple of knobs and add to your dish. Any leftover herb butter can be stored in the freezer and brought out to liven up a mid-week supper. 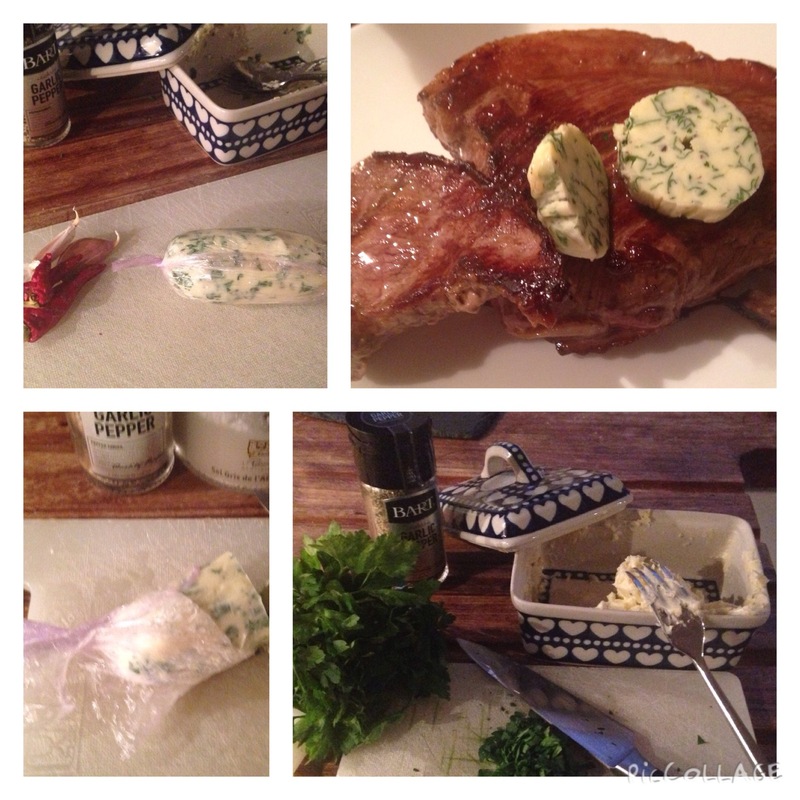 You can even drop a couple of knobs of herby butter into casseroles at the end of cooking to give the gravy a glossy finish and a little added fresh herb flavour. I honestly find much more use for these little butter pats than I ever do for the frozen stock that I have had sitting in ice-cube trays for months and months and am never quite sure what to do with???? What do you do with yours?